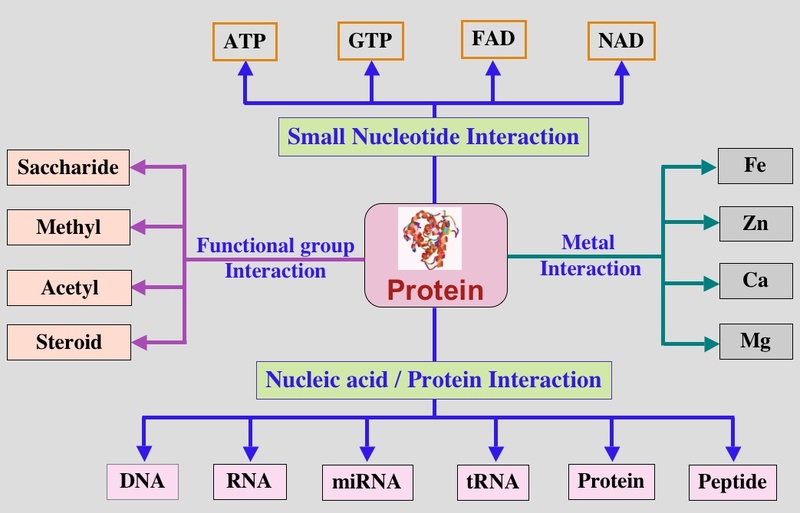 Protein interacts with a variety of macromolecules in a living system to carry on life processes. It interacts with protein itself, nucleic acids, carbohydrates, lipids and variety of small chemical molecules. Each type of interaction has its own requirements, mechanism of interaction, and cellular processes accomplished.